Sperm counts in Western countries have decreased by half in recent years, suggesting a continuing and significant decline in male reproductive health, a new evidence review reports. Sperm concentration decreased an average 52% between 1973 and 2011 while total sperm count declined by 59% during that period, researchers concluded after combining data from 185 studies. The research involved nearly 43,000 men in all. “We found that sperm counts and concentrations have declined significantly and are continuing to decline in men from Western countries,” said senior researcher Shanna Swan. The new findings come on the 25th anniversary of the first study to observe a decline in sperm counts, Swan said. 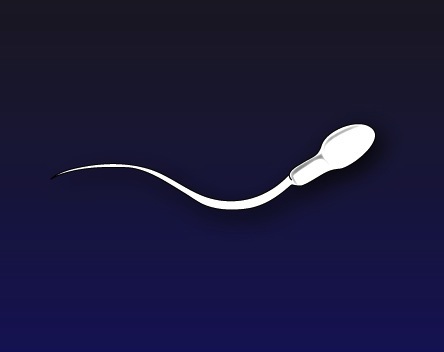 The original study, published in 1992, found that sperm counts had declined 50% over 50 years. The continued decline raises concerns about male fertility, and also male health in general, Swan said. “We are worried about these low sperm counts not only because people have trouble conceiving, but also because men with low sperm counts go on to have higher all-cause mortality,” Swan said. Studies have shown they die younger and they have more disease, particularly cardiovascular disease and cancer,” she said. No one knows why sperm counts continue to decline, but researchers believe it’s likely due to factors associated with a modern lifestyle, Swan said. These factors include exposure to man-made chemicals, increased levels of stress, widespread obesity, poor nutrition, lack of physical exercise and smoking. Most primary care doctors can’t identify all 11 risk factors for prediabetes, a small new survey finds. Researchers for Johns Hopkins University said their finding should prompt doctors to learn more about this condition that affects an estimated 86 million adults in the United States and could eventually lead to type 2 diabetes. “We think the findings are a wake-up call for all primary care providers to better recognize the risk factors for prediabetes, which is a major health issue,” said study first author Dr. Eva Tseng in a university news release. She’s an assistant professor at Hopkins’ School of Medicine. It’s estimated that 90% of those with prediabetes are unaware that they have the condition, according to the U.S. Centers for Disease Control and Prevention. The ADA has guidelines that list a total of 11 specific risk factors that determine if a patient should be screened for prediabetes. They include physical inactivity, a first degree relative with diabetes, high blood pressure, and a history of heart disease. A total of 140 doctors took the survey. Nearly one-third of those surveyed weren’t even familiar with the ADA’s prediabetes guidelines. Only 6% were able to identify all 11 risk factors. On average, the doctors could correctly identify just eight of the warning signs. Only 17% identified the correct values for fasting glucose and another key measure of glucose, known as HbA1c, which are used to diagnose prediabetes, the study authors said. The study, of over 200,000 U.S. health professionals, found those who ate plenty of healthy plant foods – such as vegetables, beans and whole grains – did have a lower risk of heart disease. That was not true, however, if people loaded up on foods that are technically plant-based, but not all that healthy. In fact, diets heavy in pasta, bread, potatoes and sweets appeared just as bad as, if not worse than, diets high in animal products. “Plant-based foods are not all the same,” said lead researcher Ambika Satija, a postdoctoral fellow at the Harvard School of Public Health, in Boston. So it’s crucial that people consider the nutritional quality of the plant foods they choose, she said. The study did not specifically examine vegetarian or vegan diets, Satija noted. So the findings do not shed light on how those diets affect heart disease risk. But other studies have tied vegetarian and vegan diets to lower risks of diabetes, high blood pressure and heart disease, according to Dr. Kim Williams, chief of cardiology at Rush University Medical Center in Chicago. “Plant-based nutrition is superior when it comes to most diseases,” Williams said. “But what people don’t always understand is that there are healthy ways to do it, and not-so-healthy ways,” he said. “You can do it wrong.” Williams co-wrote an editorial published with the study in the July 25 issue of the Journal of the American College of Cardiology. Bacopa, commonly known as water hyssop, is an Ayurvedic herb traditionally used as a tonic for nervous disorders, hoarseness, as a cardiac tonic, and for urinary incontinence especially in combination with constipation. As with all saponin-containing herbs, it is considered an adrenal adaptogen but might irritate the digestive tract if taken on an empty stomach. However, because it is also fat soluble, it should be taken with a meal containing additional fat to add in absorption anyway. I have used Bacopa for many years in formula that also contains Ashwaganda and Bladderwrack called Thyroid Complex. The Bacopa supports pineal and pituitary function, the Ashwaganda is a great adrenal adaptogen and the Bladderwrack is a good source of iodine for the thyroid. This supplement is my “go to” for Hashimoto’s thyroiditis. More recently, I have been using Bacopa as a stand-alone herb. Primarily because of improvements in cognition and reduced anxiety reported in multiple double blind studies of this herb. These benefits are noted in both young and old patients putting Bacopa in the general classification as a nootropic herb. Bacopa interacts with dopamine and serotonergic systems, but its main mechanism concerns promoting neuron communication. It does this by enhancing the rate at which the nervous system can communicate by increasing the growth of nerve endings, called dendrites. Bacopa also has some antioxidant activity. The beneficial effects of Bacopa take time to truly be appreciated. Typically improvement is much more notable at 8-12 weeks then at 4-6 weeks. However, the anxiolytic effects may occur much more quickly and often are not sustained. These two studies were published within days of each other. I was fortunate enough to run across both of them prior to writing a blog about either. As you compare and contrast this new research think about to potential goals of the study and the spin applied to publication. Both studies were on proton pump inhibitors (PPIs), drugs commonly used to treat acid reflux and ulcers. The first study was published in the May, 2017 issue of the Journal of the American Geriatrics Society. Researchers from Emory University in Atlanta analyzed a National Alzheimer’s Coordinating Center database for the study. The data, compiled from 2005 to 2015, included close to 10,500 Americans, aged 50 or older, with normal brain function or mild thinking difficulties. Researchers found those who used PPIs were at a lower risk of a decline in thinking skills. The title of the release “Popular Heartburn Meds Don’t Raise Alzheimer’s Risk”. The second study was published online July 3, 2017 in the journal BMJ Open. Researchers from the Washington University School of Medicine in St. Louis found that popular heartburn medications like Nexium, Prilosec or Prevacid may increase your risk of early death when taken for extended periods. Further, the longer you take these drugs, the greater your risk of early death. Short-term use of PPIs – up to 90 days – did not appear to affect death risk, the findings showed.